Euclid (300 BC). 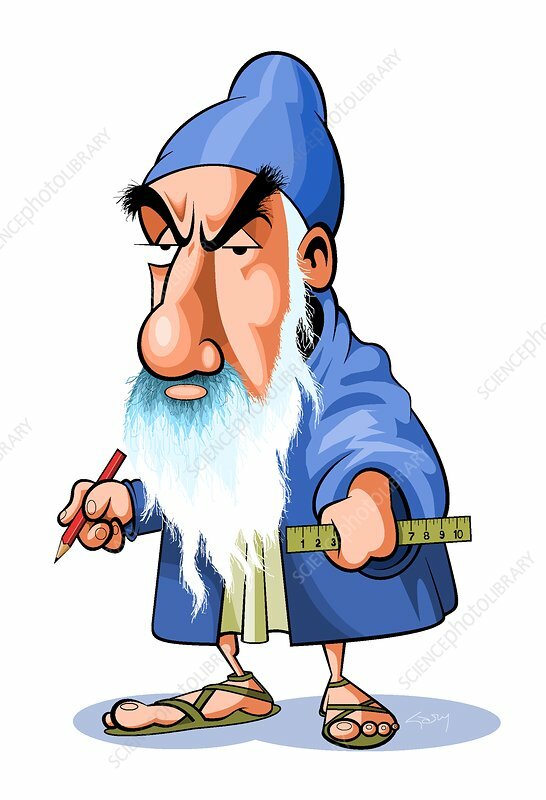 Caricature of the Ancient Greek mathematician Euclid of Alexandria. Euclid is best known as the ''Father of Geometry'' and for his book ''Elements.'' He brought together previous mathematical work and extended it, and his method of proving theorems by deduction is a bedrock principle of mathematics. Euclid's work was translated into many different languages and it dominated mathematics for over 2000 years. The Elements of Geometry were the first mathematics books to be printed. Some errors were found in Euclid's work by the 19th century. However, most of his findings remain valid.